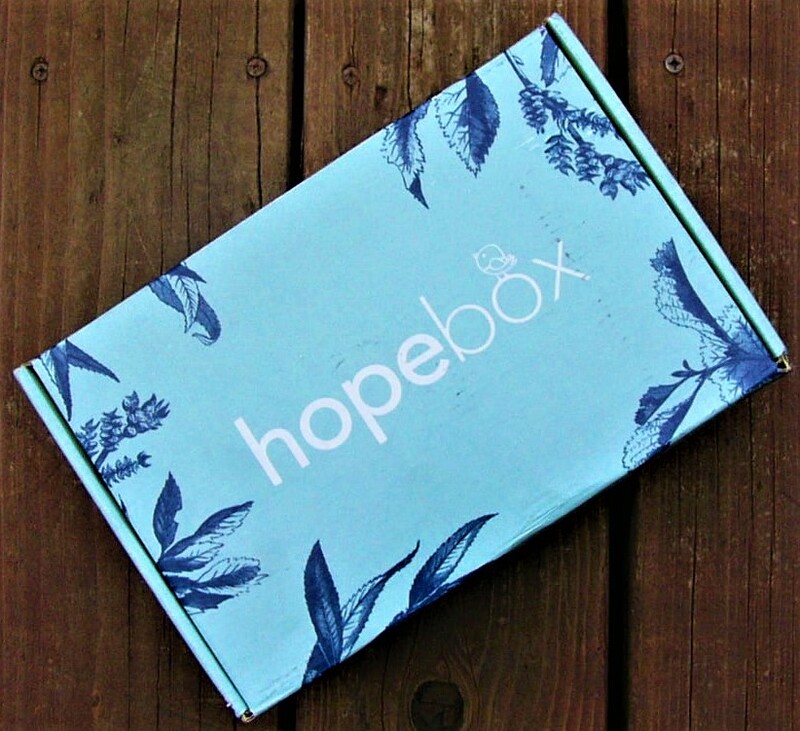 Today I am going to share with you a box called Hope Box! 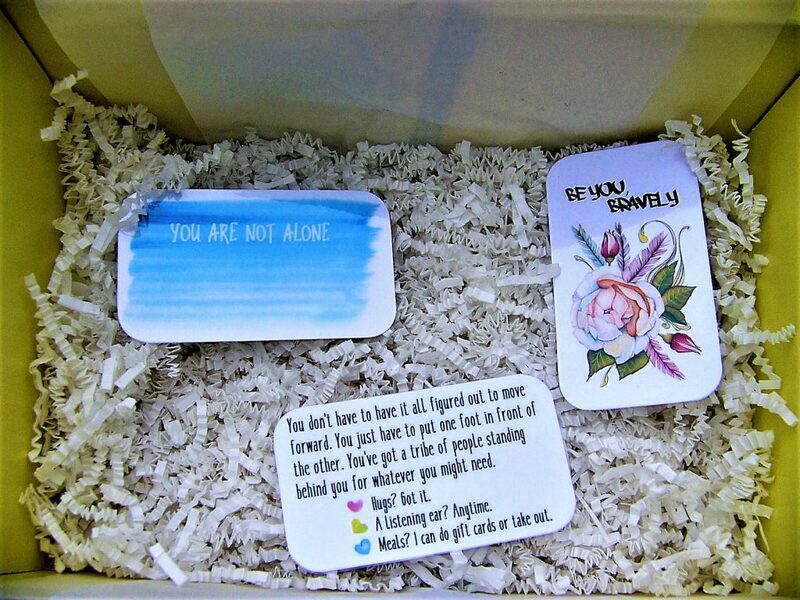 This box was created for those who are grieving or are going through a hard time. They endorse small business artisans (which I love!) and they make sure to send out comforting care packages that do so much more than flowers, which are the traditional grievance present. I am currently going through a rough time because my cat is really sick, and she is going through surgery as we speak. 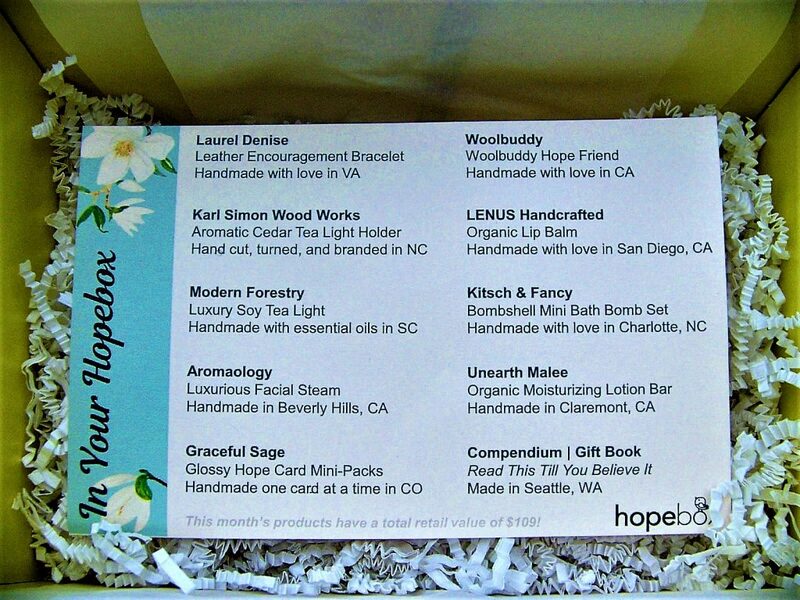 Therefore, Hope Box was exactly what I needed to relax! It has brought me hope, and I hope that it will bring you hope as well. Why send flowers when you can send hope? Delivering what we all need most… hope! Hope Box carefully selects each month’s assortment of 10+ renewing, uplifting goodies handmade by creative artisans who have their own inspiring stories of hope and healing. Every box includes a heartfelt, comforting, and encouraging message. Want to write a personal note? Hope Box can help! Hope is on the way. I received the June Hope Box to review, and I couldn’t wait to open it. I have been struggling health-wise and emotionally recently, so this uplifting box is the perfect medicine. Hope Box arrives in a custom box with the logo on the top! I like the relaxing look of the box. Upon opening the box, I could feel the care and comfort that went into the packaging. Everything was wrapped up so carefully, and it felt like an old-fashioned care package. 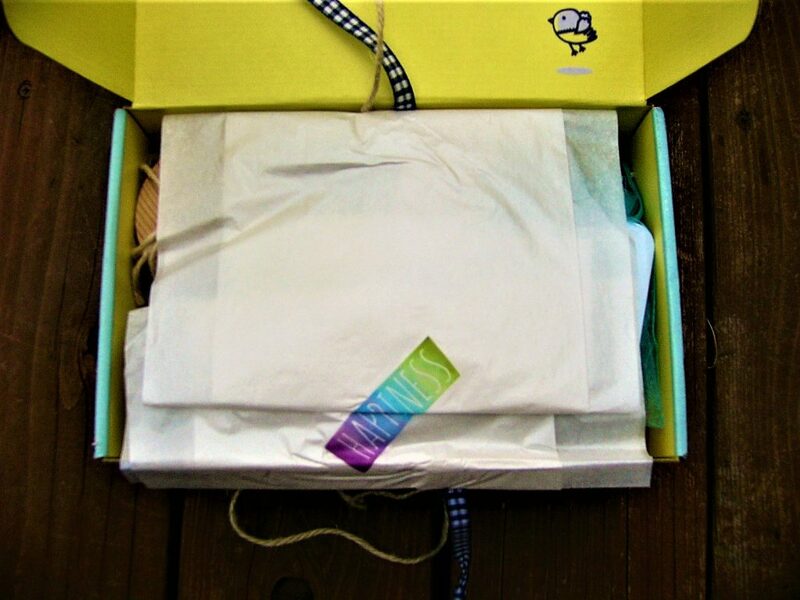 I love the rainbow “happiness” sticker that seals the tissue paper close! This adds a beautiful positivity to the unboxing experience. The box came with a personal letter to me, and it is such a nice touch to add to the box. 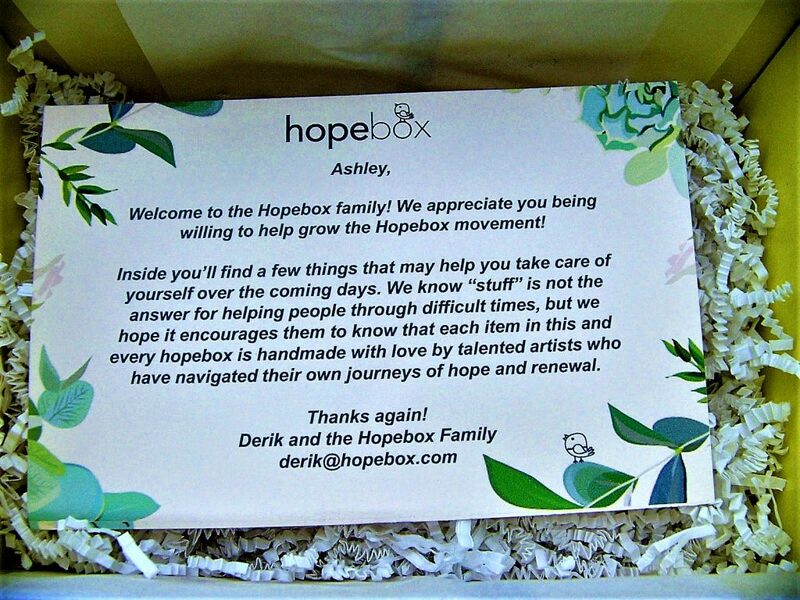 I love how Hope Box is trying to bring love and happiness to those who are struggling instead of having people just send flowers. They also support so many small artisans, and as a small business artisan myself, I was happy to support this. I support Hope Box’s movement 100%! The box also came with a complete list of everything included in the box, where the items are from, and who created them! I always love knowing more about the artisans behind these small business items, so I was happy to get more information on them. The first item in the box is a Leather Encouragement Bracelet from Laurel Denise! This bracelet reminds you to be strong, and I like wearing that small encouragement to remind myself of the message every day. Laurel Denise bracelets are designed to help individuals find encouragement, hold onto memories, or move on with strength. I love how much love and thought goes into these bracelets! The bracelet is long enough for me to wear as an anklet, so I am permanently wearing it on my ankle. 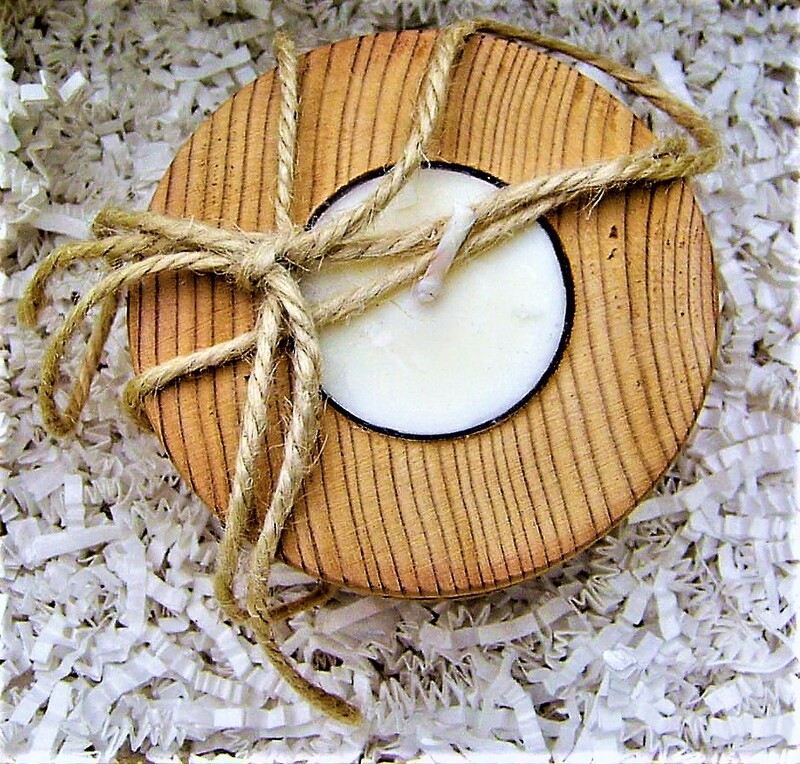 The next item is an Aromatic Cedar Tea Light Holder from Karl Simon Wood Works! 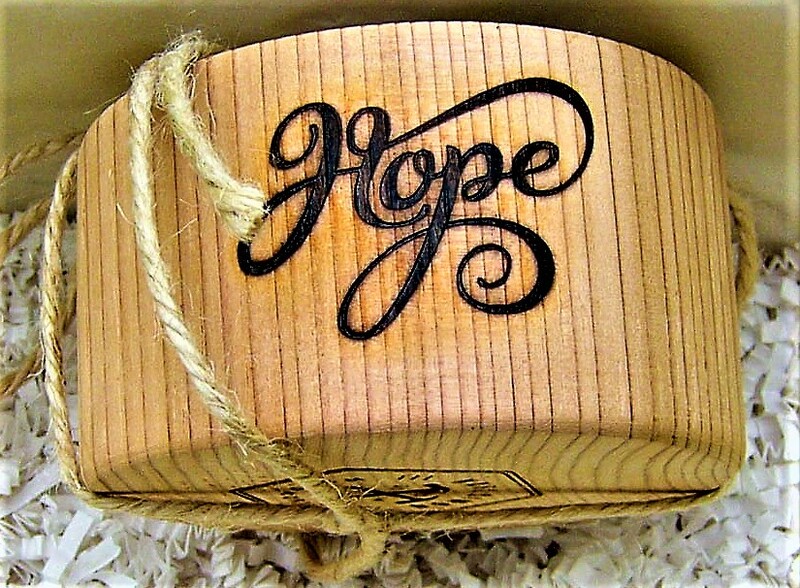 This candleholder smells delicious, and I like the message of “hope” that is engraved on it. The candle holder also comes with a lightly scented candle from Modern Forestry! The tea light has such a relaxing scent. This is perfect to light while taking a bubble bath! The next item is a Luxurious Facial Steam from Aromaology! 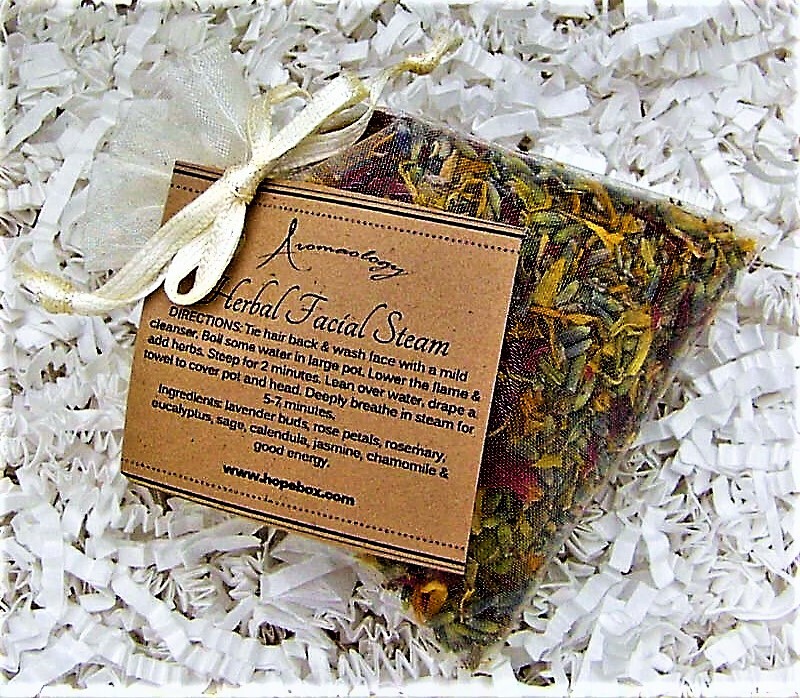 This all natural herbal steam is perfect to use when you need to freshen your face or clear your sinuses. It has such a strong smell. 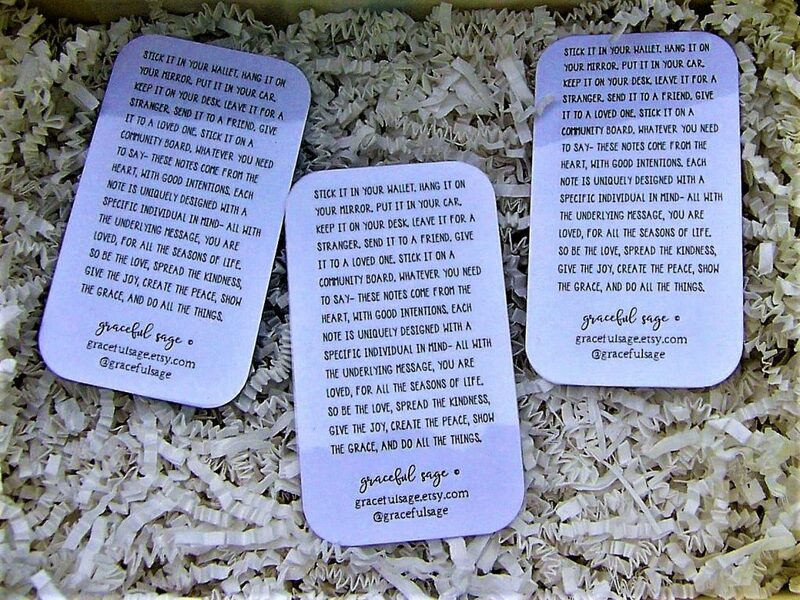 The next item is a set of Glossy Hope Cards from Graceful Sage! This shop is located in Colorado – my home – so I loved seeing them included. These cards are inspirational and small enough to fit in a wallet. If you need a boost of comfort or confidence, these cards are perfect to carry with you! The back of the cards have in-depth messages to help you stay strong. I love the positivity that they bring! On the shop’s website it says that you can keep these in your wallet and hand them out to people who might need them. I like how they promote paying it forward! The next item is my absolute FAVORITE item in the box! But then again, I am a huge plushie fanatic. 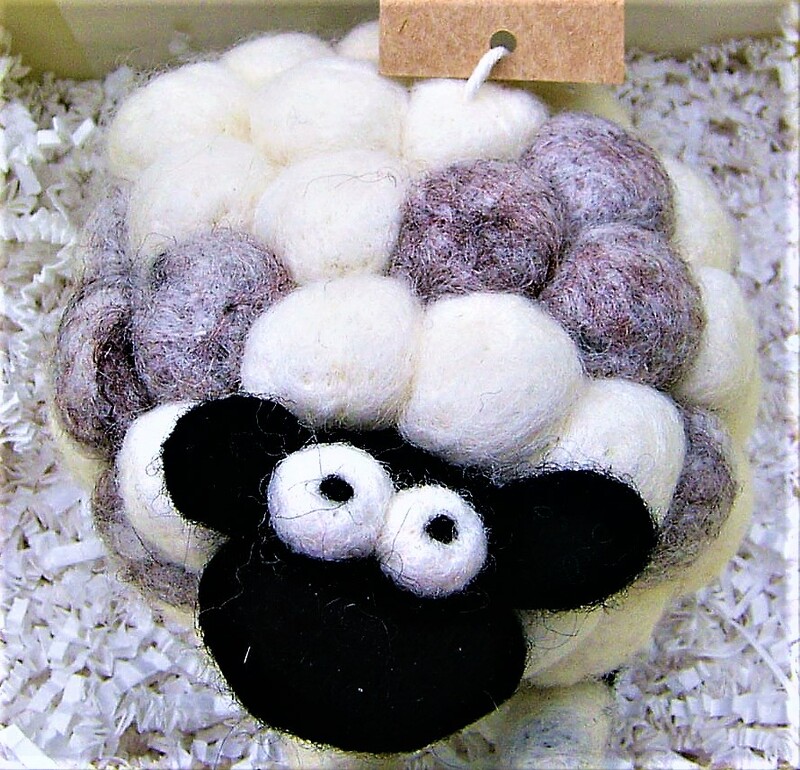 This is an adorable little wool sheep from Woolbuddy! These plushies are hand felted and they are incredibly made. Everyone needs a little buddy to keep them company when they are down, so this little guy is a win. 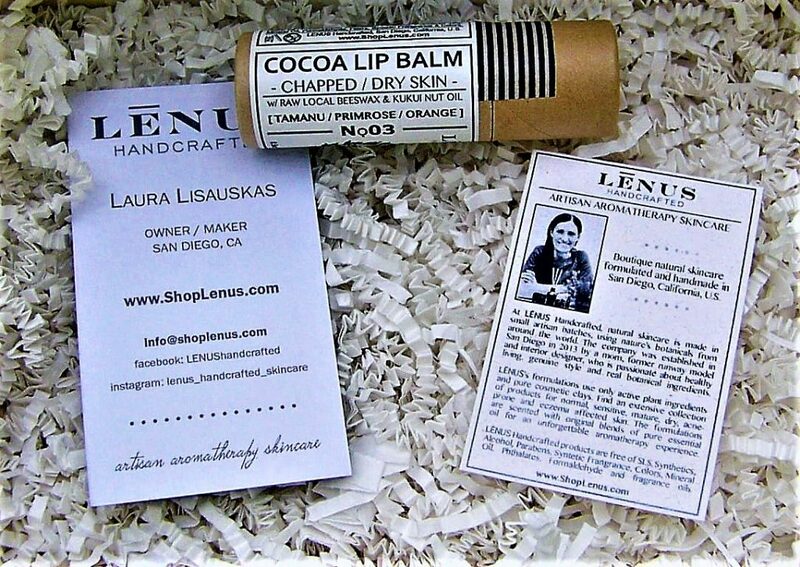 The next item is an Organic Lip Balm from LENUS handcrafted! This lip balm is cocoa scented, and it smells just lovely. I love how LENUS uses all natural materials to create their products. 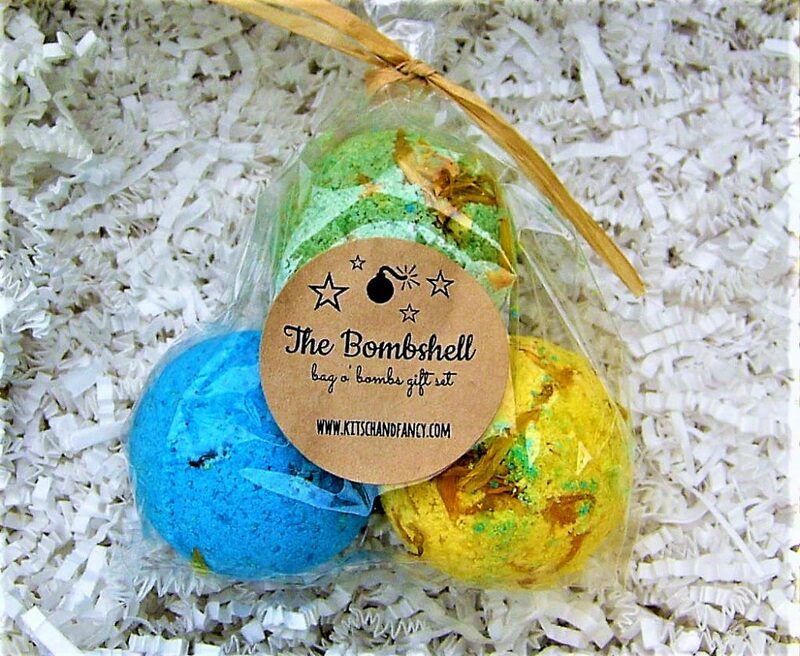 The next item is a set of “bombshell” bath bombs from Kitsch & Fancy! These bath bombs are perfect to use with the candle that was sent in the box. They will make for a relaxing evening. The next item is an Organic Moisturizing Lotion Bar by Unearth Malee! 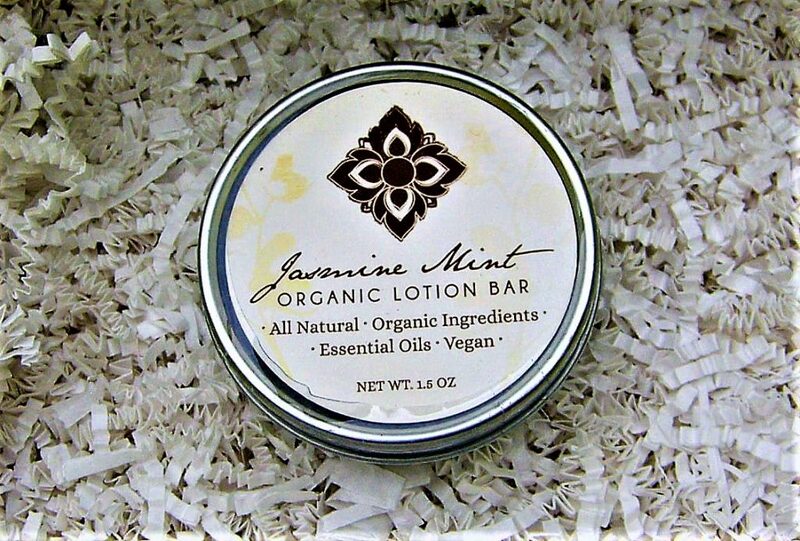 My bar is scented with jasmine and mint, which is my favorite scent combination of all time. It smells so relaxing, and it pairs perfectly with the bath bombs and candle. 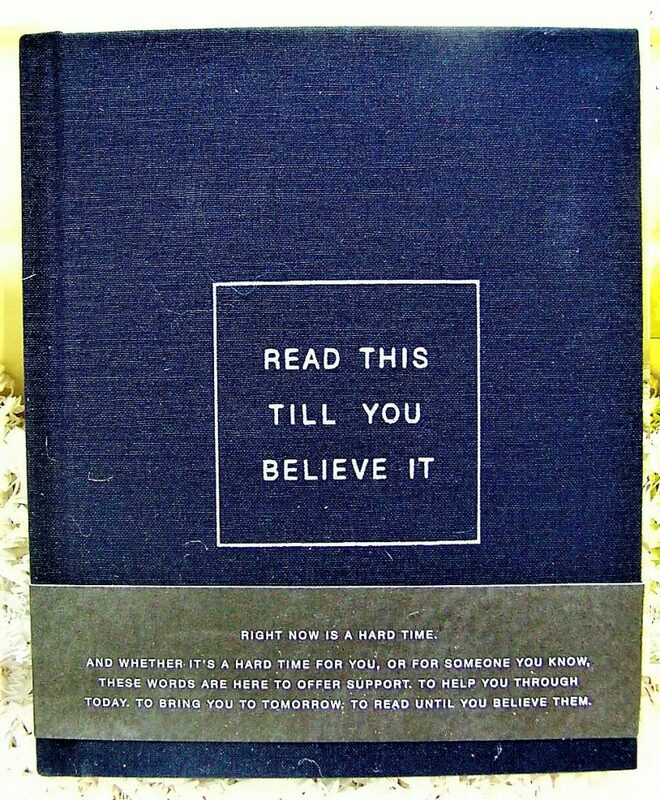 The last item is a book called Read This Till You Believe It by Compendium! This book is filled with inspirational phrases, and it really helps to strengthen your emotions and self-confidence. 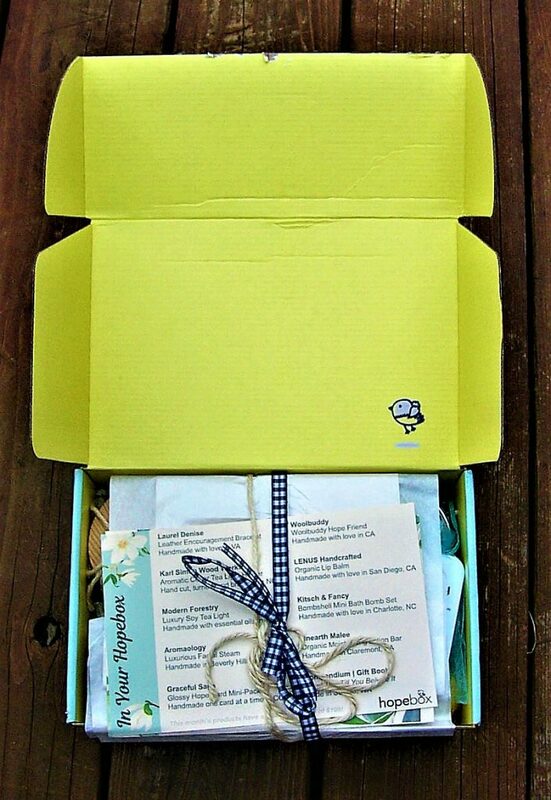 Final Thought: Hope Box is an excellent box to gift someone who is going through a hard time or grieving! It is much better than just sending flowers, and I love how it supports small businesses and artists as well. All of the items that you receive in the box are well worth the price, and your loved ones are sure to love them. Hope Box has won me over, and it really helped me through the hard time that I am going through! 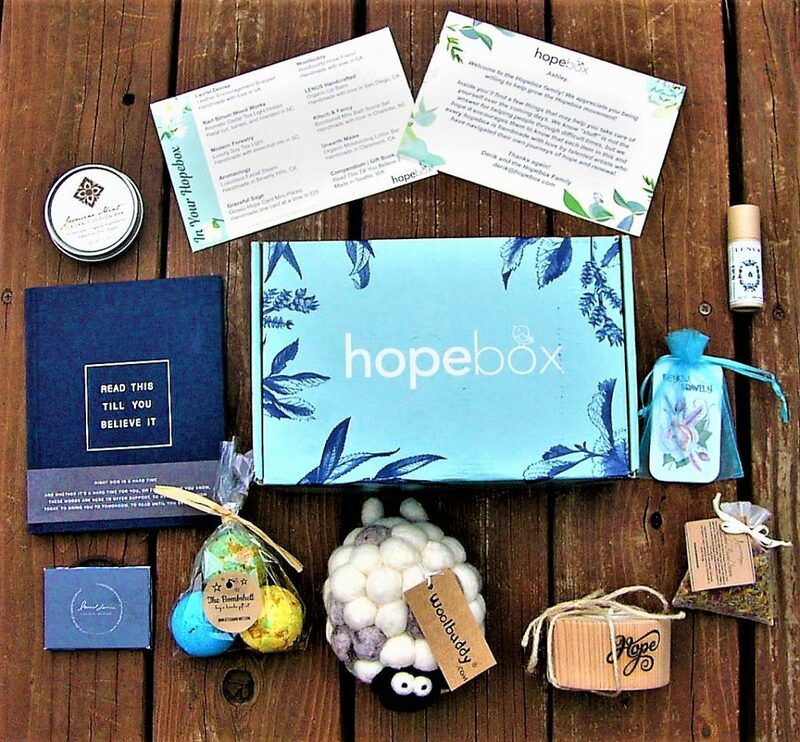 Hope Box is a company made up of extremely compassionate people, and I highly recommend them.